Is it just me or does everyone have a few cabinet doors hiding in their furnace room? Just me? One or two of you? Well for those of you who have them and don't know what to do with them here is a little inspiration! I started with this cabinet door, nothing wrong with it. It even has a cute vintage floral handle...I can see that being added to a future project. 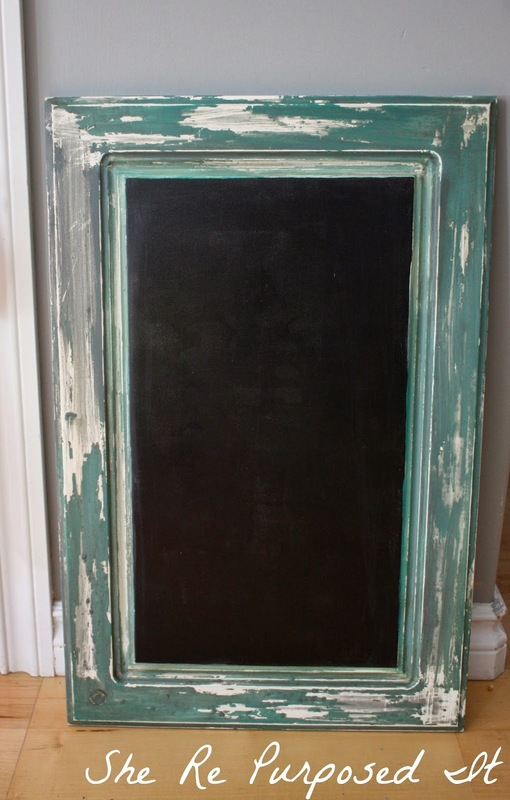 I taped off the inside panel and used my chalkboard paint to fill it in. Next I mixed up a pallet of different greens and white paint. I took a little of each color on the brush and painted until I got the grain like look I was hoping for. After the paint had dried I coated it with a grey wash paint, distressed it and sealed it with a wax. 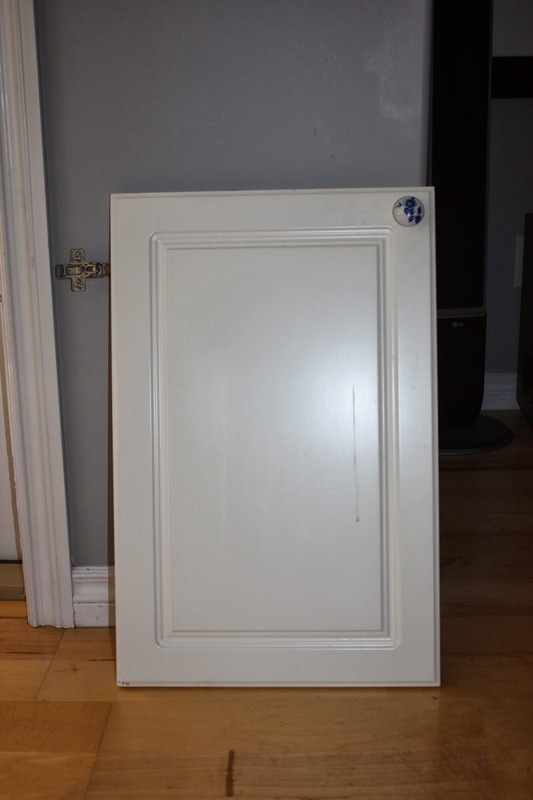 Now its time to go hunt for your own unwanted cabinet door. 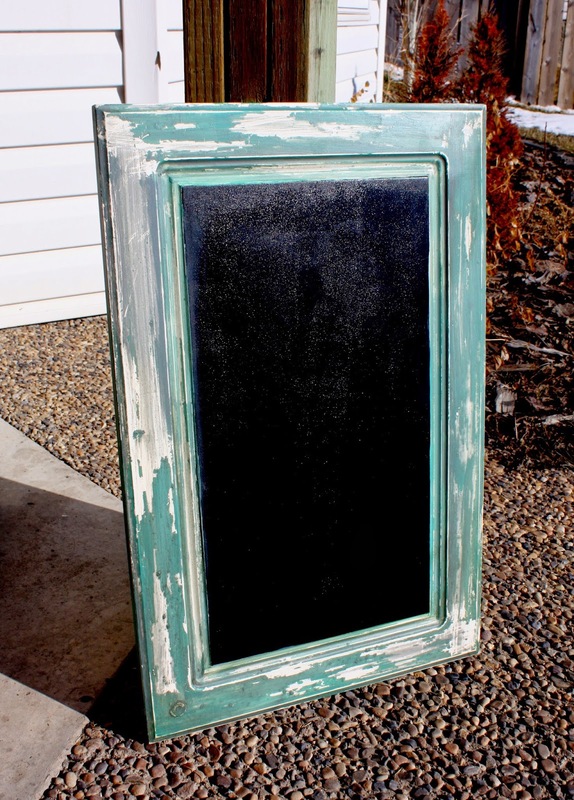 With a little paint and love you can have a brand new chalkboard! Perfect for the kitchen dinner menu or the kids chore list! Wow! 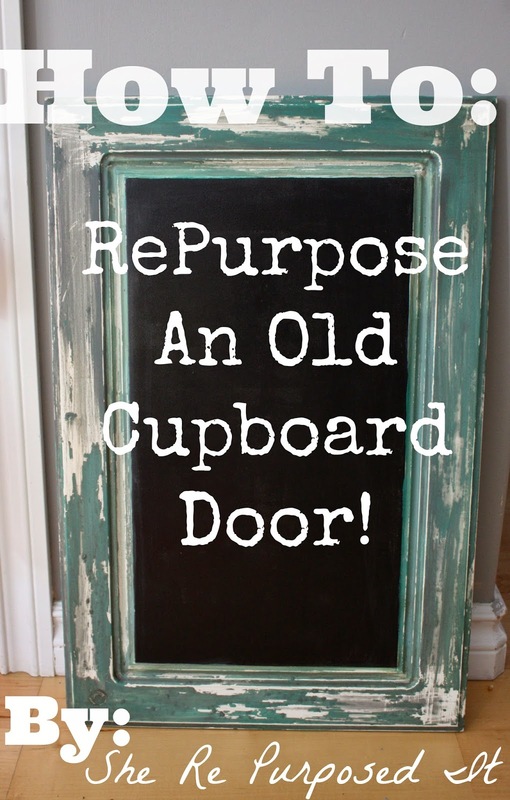 looks great...I love a bit of chalkboard paint myself! What a cute noticeboard, today I am going to re-purpose my glass notice board, thanks for the inspiration!! Oh wow!! 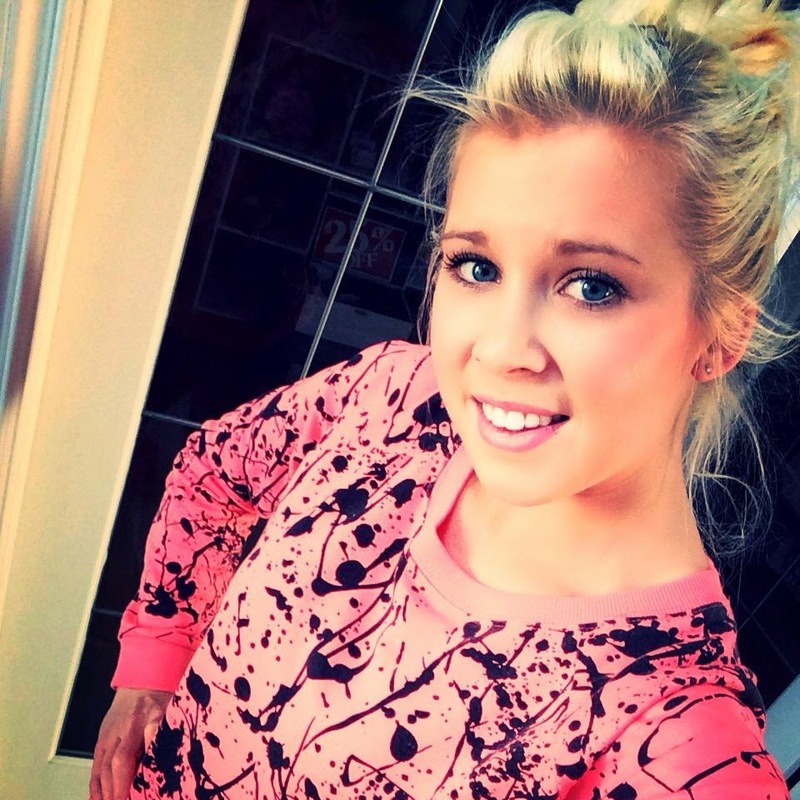 Thank you so much for the feature Lisa!! Ill head right over and check out your blog! Very nice! I just made one to. The Design of the door was a little bit different. I got mine at the Habitat for Humanity Restore. Great job! Visiting from Dwellings. So, so cool! That distressing looks so authentic! Thanks for linking up with us at Best of the Nest! So you put the chalk paint on top of the tape? I would have thought that would have caused lines in the paint.